As much as I hate to do it I have to sell my 2008 M50. 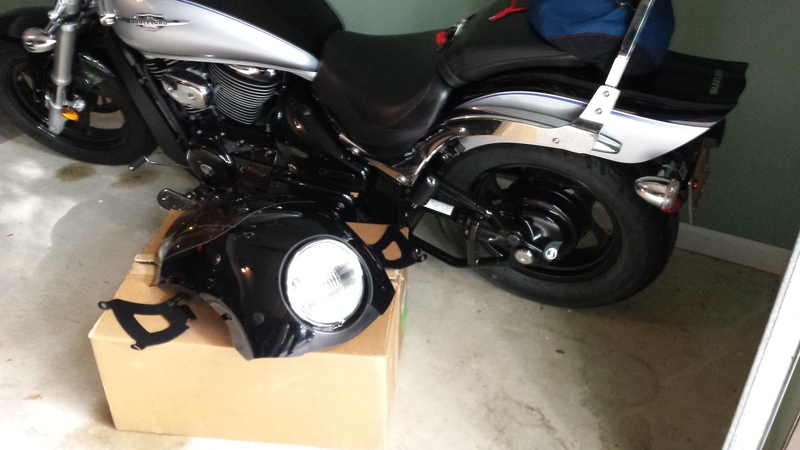 My riding buddy is moving to Fla., so on top of losing my friend, I'm also losing my garage. The bike is a 2008 silver/black M50 with just under 7,200 miles on the clock. It has a Cobra StreetRod exhaust with a Cobra Fi2000r fuel processor. It also has a Thunder Mfg. Tornado intake kit. 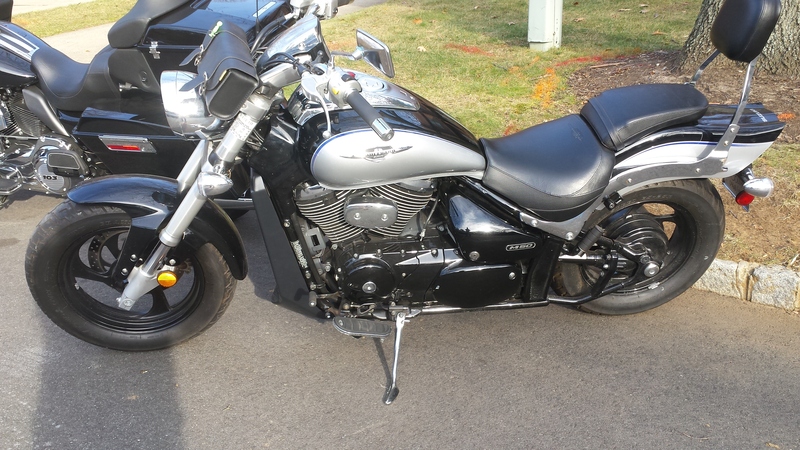 Cosmetic changes are a Memphis Shades Bullet fairing and a ShapeMasters fan shroud. The bike has been garage kept and the oil and filter has been changed at the start of every season. A new Battery was installed last summer. It's a 2008 so it ain't showroom but it has no dents, dings or cracked or broken plastic. 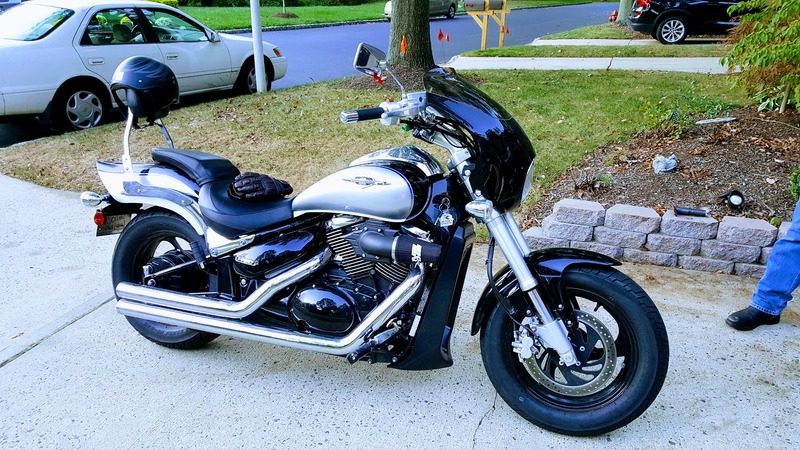 I'm asking $3000.00 and that will also include a HD cover and chain(you need your own lock) At the present time the bike is in Lakewood,NJ but weather permitting, it will be moved to Westfield, NJ which is about 20 min from NYC. Anyone interested, contact me here or through the Suzuki M50, Suzuki Boulevard Riders Group or the Suzuki Intruder M800 & Boulevard M50 pages on FaceBook. Pictures 4 and 5 seem to be an entirely different bike. The pic of the black bikes got dragged in by accident and I couldn't get rid of them. The silver/black bike is mine, with and without the fairing.